Stiney’s Funeral Home was established in 1948 under the professional entrepreneurship of Ransom M. Stiney Jr. With the motto " Service with Distinction, Dependability and Dignity"
Stiney's Funeral home has served the Jasper, Beaufort and surrounding areas for over 61 years. We provide many services for your loved ones with compassion and dignity. The Stiney Family is committed to your family's total care, and we believe that each and every client is our most important client. Born on February 13, 1915 in Hardeeville SC, to the late Ransom Stiney, Sr. and Addie Stiney. He was one of six siblings, all who preceded him in death. Educated in the public schools of old Jasper County, his life took him across many paths that embraced the wonders and trials of living. His journey in life allowed him to work several occupations: ownership in a local logging company; head chef of the Shamrock Hotel, in Blackville, SC; founder of Stiney's nightclub; provider of the first Ambulance service in Jasper County; and since 1948, the successful owner of the Stiney's Funeral Home. A licensed mortician for the State of South Carolina for more than fifty years, he shared his passion for the funeral industry with his daughter, Edith S. Brown, who preceded him in death. 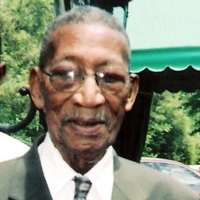 At his demise, Brother Stiney was one of the oldest funeral directors in South Carolina. His religious affiliation was with the Fisher Chapel UMC where he was a dutiful member. He served as trustee, member of the finance committee, and other appointed church duties. His accomplishments included: one of the first Blacks to serve on the Jasper County School Trustee Board; 32nd Degree Mason under the Cradle -Simmons Consistory #360 and the Happy Home Lodge #125; a member of the Jasper County Chamber of Commerce; the National Funeral Directors and Morticians Association Inc, Past Governor and member of the South Carolina Morticians Association, Inc., District No.1 Jasper County Sheriff's Association, and former ML&B Society. 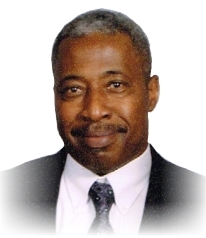 Mr. Stiney was highly respected and admired by his peers and "constituents" throughout the state of South Carolina and surrounding areas, Mr. Stiney served diligently as a community leader and was dedicated to his family and business. He had a deep love to serve people, to give generously to causes to ease the burdens of lives and to strive to make a difference with all his endeavors. His life is now a map of time to be no more...only to be remembered for what he has done. The impact of his life upon his community, the State of SC, as well as the people he loved and served shall never cease. Every century a rare flower is discovered and it is treasured throughout its life time for every one to enjoy and as the flower withers away, it leaves a memory that is valued more than rubies or gold. Such was the rare flower birthed May 21, 1934, in the person of Mrs. Edith Stiney to the late Almeta Odom Stiney and Ransom M. Stiney, Jr. in Hardeeville, South Carolina. What a joy in the lives of her parents she would become. She attended the public schools of Savannah Georgia, graduating from Beach High School in 1951. Determined to succeed in life she enrolled at Savannah State College and received her Bachelor of Science Degree in 1960 and Masters of Education in 1972, thus beginning her career in education. She also received Certification in Early Childhood from the University of South Carolina. Her employment in the field of education stems from Broad River Elementary, Beaufort, SC from 1960-1965, West Hardeeville from 1965-1976 and ending in Jasper County School District Office from 1976-1981. It is in the public schools that she left a lifetime mark on the children she taught and the colleagues that worked with her. Raised to reverence the Lord, Edith joined Fisher Chapel United Methodist Church at an early age and served as Lay Leader, Chairperson of Finance, and as an adult Choir member. Edith served faithfully in her church, and gave unselfishly to the up building of Gods Kingdom on earth. Whenever there was a fundraising event Edith would extend help from all of her friends and no matter what, you could not tell her no. She was just that influential in getting what she wanted. "He that findeth a wife findeth a good thing," on January 22, 1950, she was founded at the alter of holy matrimony as she united in love to the late Isaiah Brown SR. To this union two children were born, Valerie Elaine and Isaiah Jr.
A self-made businesswoman, Edith assisted her husband in the logging company and Ike's Place. She even became a noted floral designer. With God on her side and the zeal for life, she would soon set out to join her father in the funeral industry and become a License Funeral Director with Stiney's Funeral Home. It was here where her father would bestow upon her the title "Ms. Lady." She worked numerous years in the business and became a member of The South Carolina Morticians Association, Inc. and The National Funeral Directors & Morticians Association. She served as Governor of District One (1991 - 1997) for the State Association and was active in the National Association as well. Amidst her fellow morticians she was highly regarded and admired. Her greatest joy was helping those in time of bereavement, her encouraging words, pleasant smile and personality touched all those whom she served and those that were in her presence as a whole. She was a notary public of the State of South Carolina. "Ma Brown," as she was affectionately called by family and friends received numerous awards during her life time for untiring service to her community and served in many organizations: Ridgeland Branch of the N.A.A.C.P. Woman of the year, 1991; S.C Governor and Commander in Chief award, 1986; 25 Most Influential Women in Jasper County, 1987; member of the S.C. Education Association; National Teachers Association; SCMA District One, SCMA, Inc. Mortician of the Year, Ladies Auxiliary of the SCMA, INC. Jasper County Chamber of Commerce, St Catherine's Chapter #460. E.S. Cradle Simmons Assembly #369, Order of the Golden Circle, the S.C. Bank and Trust Bank Board Director and many other awards and recognition. Edith was known as a philanthropist, the Coretta Scott-King of the Low Country. She was a loving and caring lady, always lending a helping hand and a word of encouragement. Her legacy of love will be remembered through out time. Death is the golden key that opens eternity when our labor is over and our Heavenly Father calls us to our reward. 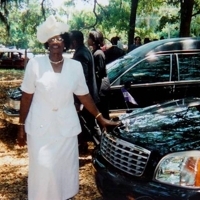 Mrs. Edith S. Brown answered the call in the comforts of her home, surrounded by her children and friends on Friday February 23, 2007.